1) An LED replacement for ‘Geoffs Boudoir’. The old lights that hung over the Mechanic’s portico had reached the end of their life and were replaced with energy saving LEDs. 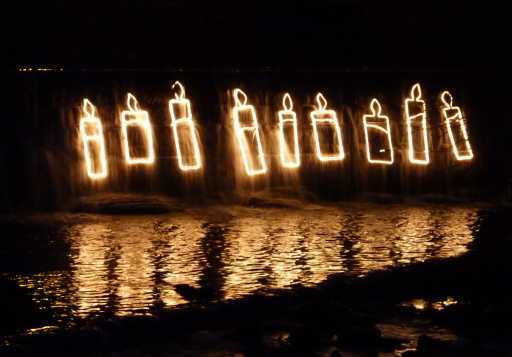 2) After 2009’s prototype we comissioned a reusable aluminium set of candles for the weir. 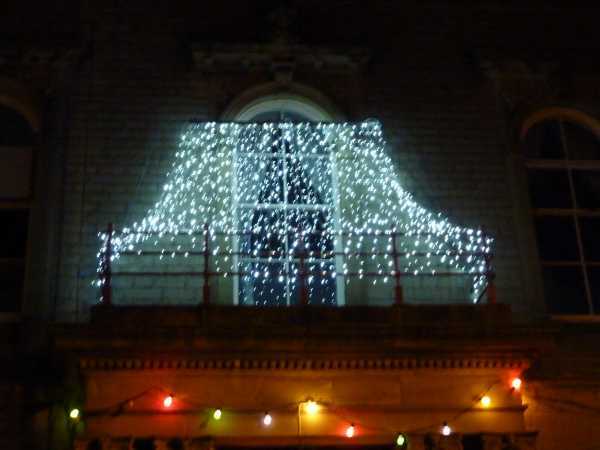 Thanks to the Cuckoo’s Nest for their grants covering the cost of these lights and the volunteers who tested and put them up.